If Disney needed any more reminding that their own Walt Disney Animation Studios didn’t have a great past decade, this set of 12 — count ’em! — new tickets celebrating the most popular recent characters actually feature no less than 10 stars from their friends at Pixar. Only Stitch and Princess Tiana made the cut from Disney. Naturally, the characters of Toy Story — Woody, Buzz Lightyear, the Little Green Men, the Toy Soldiers, Slinky Dog and RC — take up the majority of the designs, if even guests during the first few months of the festival won’t be able to get anywhere near their new rides. Following the rather dull tickets of Mickey’s Magical Party and even duller sets of tickets for the seven years before that, it’s easy to say these are probably the best passports to the magic we’ve seen in some nine of ten years, back to when The Tarzan Encounter and Disney’s Imaginations Parade were gracing the designs. It’s also great to see such a large number of designs, even in the age of the print-at-home E-ticket. As anyone who enjoys the memorabilia over at Euro Souvenirland can tell you, it’s all this extra bumph which makes Disneyland more special, giving you new logos, designs and styles to remember each year by. Since the arid, samey years in the middle of the past decade, Disneyland Paris has — kicked back into action by the 15th Anniversary — gradually moved back to this more exciting, constantly-evolving stream of theme years. 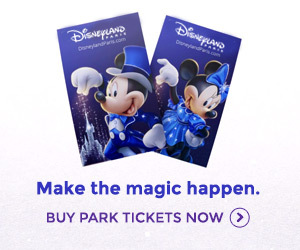 The name change back to “Disneyland Paris” seems to have helped further, harking back to the golden days of 1995-98 — although on these new tickets that all-important logo is painfully small. And though a good 40% of visitors will understand L’Année de la Nouvelle Génération, the rest of us will know it by our own local name. Alternating the logo between French and English might have been a better compromise. I prefer that they are consistently using French on the tickets. It would look horrible with more than one logo and also means that people in the same family could have different languages which could cause problems, especially if they use English, French, German and Spanish. I can’t wait to go. I want a ticket with either Buzz, the little green men, slinky or Emilly on mine and all my little cousins want the new princess, mike and sulley. Can I ask, what was “golden” about 95-98? And, when I’m at it, in some other article I read the phrase “Euro Disney follies.” Could someone explain these to me a bit? I’m interested in the history of the park from a non-official point of view. From people who care.